We have supported our Community Sports Club for many years. 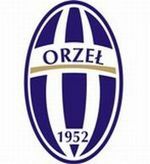 Our long-term sponsorship of sports has made GKS “Orzeł” (CSC “Eagle”) most thriving and developed. Apart from the football team we sponsor and organise a great number of events such as sports and entertainment events, harvest festivals.